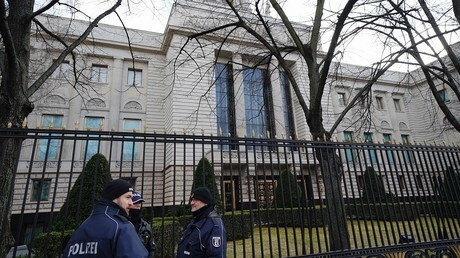 A person with apparent mental health issues, believed to be a citizen of Poland, has been detained as he tried to enter the premises of the Russian embassy in Germany to request asylum, the diplomatic mission in Berlin said. “According to preliminary data, a foreign national (allegedly a Polish citizen) parked his car with a Polish number plate next to the gate of the embassy located at Unter den Linden. After getting out of the car, he attempted to enter the territory of the diplomatic mission and request that he be granted protection. The police officers, who were keeping watch nearby, detained him in a timely manner. There is a suspicion that he is mentally ill,” the embassy said, in a statement cited by Sputnik.